Dinosaur Comics - July 11th, 2014 - awesome fun times! –And then it starts to get more advanced, encoding mathematics! 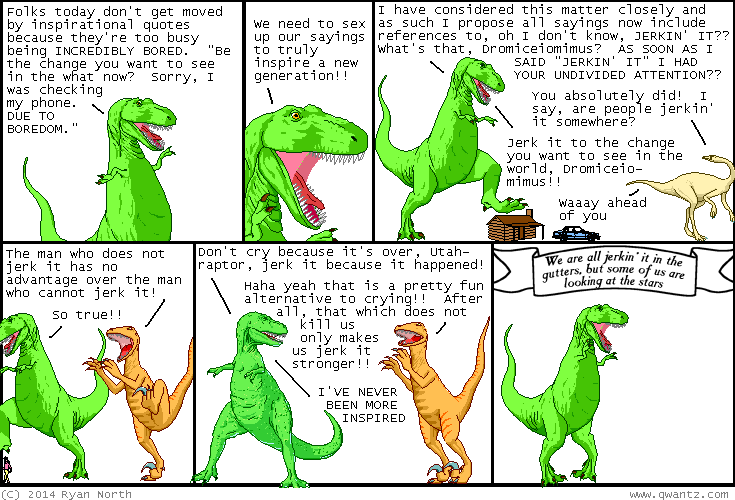 July 11th, 2014: "TODAY I WROTE NINE REFERENCES TO 'JERKIN' IT' IN ONLY SIX PANELS"